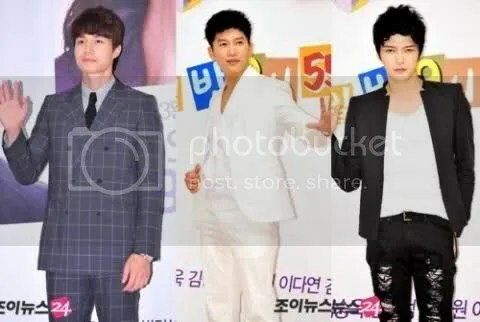 From SBS “Scent of a Woman” Lee Dong Wook to SBS “Protect The Boss” Ji Sung and Kim Jaejoong, these headquarter directors of dramas have made the female viewers’ hearts flutter. They are capable than the rest and have outstanding outlooks, together with that alluring slight badness. Not only that, their fashionable “headquarter director’s style” are also charismatic. Lee Dong Wook who have returned to drama after his army discharge, lost 16kg for this drama and thus the ability to reveal that good body built during showering and exercising scenes. This director is now even more manly and stylish, leading another fashion craze. His charisma is through that unique manly beauty. Lee Dong Wook is different from those directors who simply wore suits. His suits are his basic wears and he do wear the thin knitted top to enhance his maturity. This kind of knitted top is suitable for the recent rainy weather and was worn with a similar coloured innerwear, emphasizing its softness. He discard the boring black suits and loves to wear blazers of white, blue, light colours etc. His appearance is also not the stance a boss would appear. He would appear in a light and relaxing atmosphere. The white pants and the comfortable sneakers are the main points of his fashion style. With the inner wearing of a black or brown shirt, it completes the director’s loud fashion. Kim Jaejoong who entered the drama field with ‘Protect The Boss’ played the role of Director Cha Mu Won who is different from the defiant Cha Ji Hyun. Director Cha Mu Won is the typical director with a business-feel who works with a clear mind. Their two characters were very distinctly different. He is always clad in black suits with the classic elite image. His white shirt and usual ties might be uninteresting, but the asymmetrical hairstyle adds on slightly to the merit points. 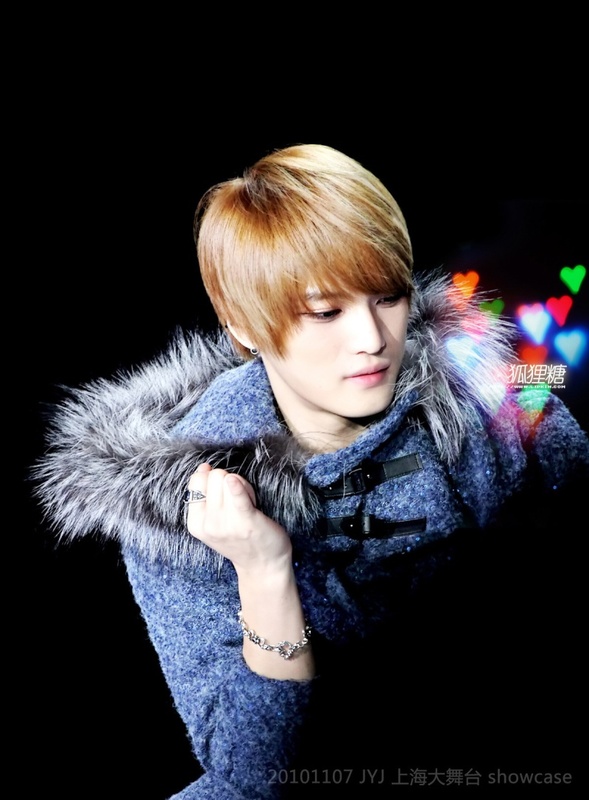 However a lot was credited to Jaejoong’s own charisma. 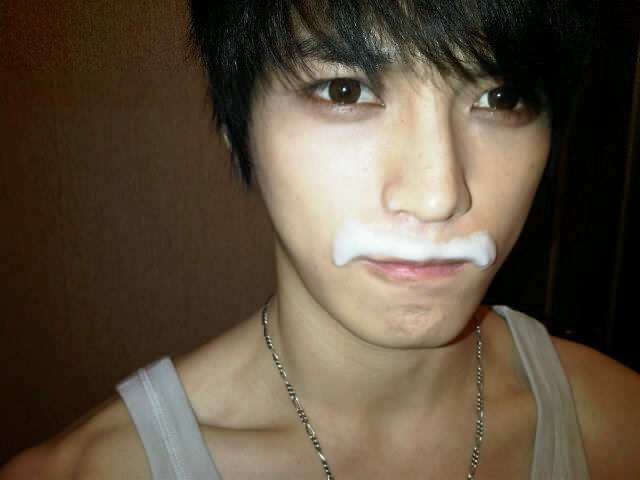 Actress Jeon In Hwa revealed her daughter’s jealousy over JYJ’s YoungWoong Jaejoong. On KBS 2TV’s ‘Kim Seung Woo’s On A Roll (승승장구)’, Jeon In Hwa stated that that she became the receiver of her daughter’s jealousy after YoungWoong Jaejoong revealed that his ideal woman was the actress. Jeon In Hwa explained that, “One day, my daughter came up to me and said ‘Mom, you’re so lucky’ with an expression of dissatisfaction.” It had been that her young daughter was overcome with jealousy because YoungWoong Jaejoong confessed that Jeon In Hwa was his ideal woman. On the other hand, Jeon In Hwa chose Hyun Bin as her ideal man and revealed that she would like to work with him if she was given the chance. 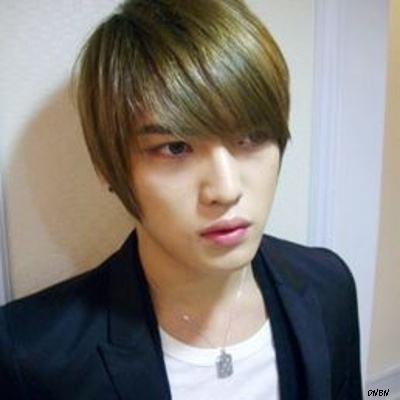 Recently on an internet comunity site a ‘fresh’ photo of DBSK and JYJ member Kim Jaejoong (Youngwoong Jaejoong) was published. A slightly chubby and blonde Jaejoong could be seen. 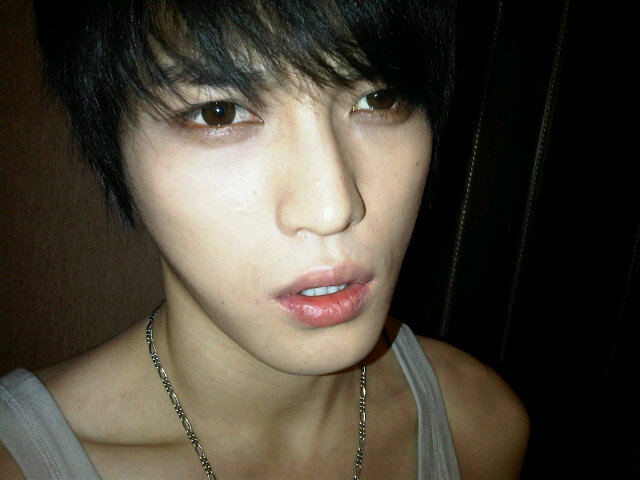 Soft skin just like a baby’s & piercing eyes, Jaejoong looks seems not to change over the years and he looks much the same as he was in the past, so he is compared to a vampire. Vampire means eternal beauty and you can find other artists who sport the same character, such as 2NE1′s Sandara Park. Netizens left comments like ‘How can his skin be good like that ’ ‘Feels like he has young and soft cheeks’ ‘How can his skin look so natural…’ ‘Authentic vampire, cool!’. 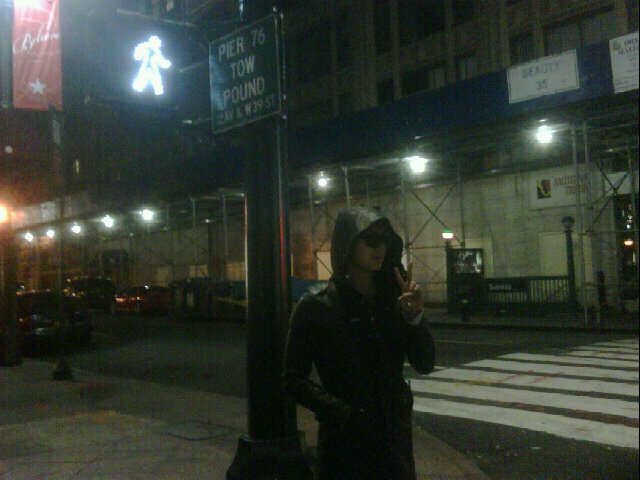 Overall, amongst the famous people, the name of the group ‘TVXQ’ and the names of the members (JeJung, JunSu, YuChun) are all in the upper circle.